Super Duper Gamer Team Entertainment: Unboxing and using... DRYEL for the 1st time! 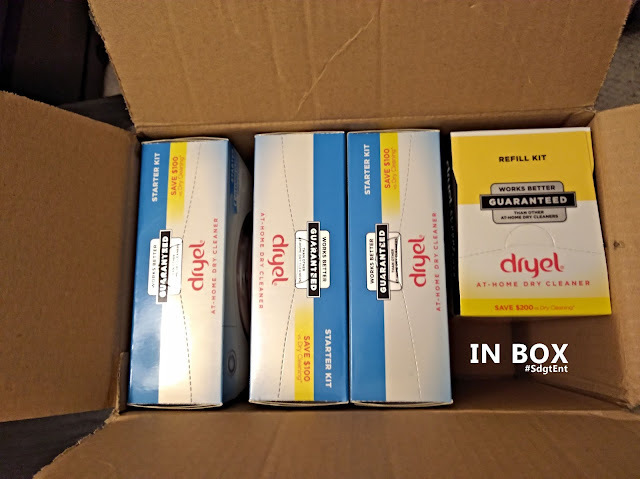 Unboxing and using... DRYEL for the 1st time! Time for another unboxing... that sort of reveals itself before I even open the package, but... let's dive in any way. You may have noticed the recent addition to the site representing us as an official ambassador for Dryel... so it only makes sense to tell you what Dryel is. 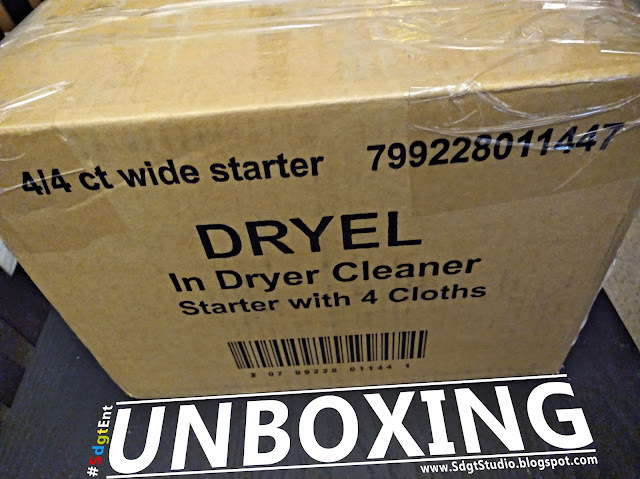 Dryel is a product line that allows you to dry clean from home using the products in combination with your dryer. 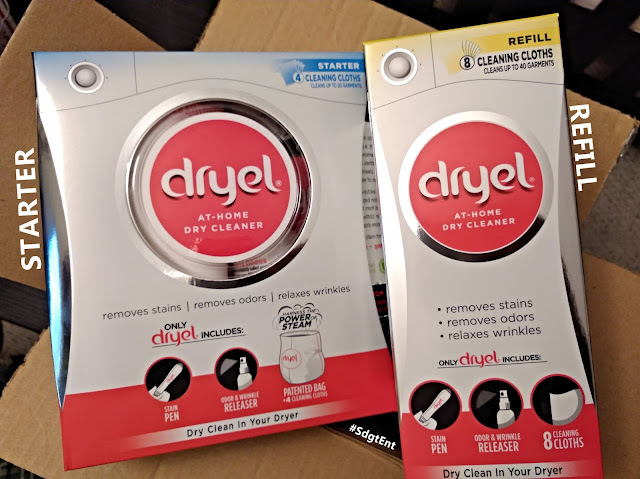 As an ambassador, we were able to get the hook up on a year's supply of Dryel... which consists of 3 starter kits and 1 refill (seen here). By the way, I think it was a pretty cool design decision to make the boxes look like dryers. By the way... for those of you who care, this product is environmentally friendly... containing no phosphate, perc or trichloroethylene (try saying that 3 times fast). Also, for those of you wondering if it's complicated to use, here's a video to show you that it's quite easy to use, works with all sorts of material (excluding leather, velvet, fur, silk or rayon) and you're saving some serious money. You don't have to be the person with 100 suits in their closet to find worth in this product because it works and maintains the quality of your favorite tees, jeans, and so forth without the need of running to the dry cleaners or doing a full wash. That's the major plus to me because I don't want to go anywhere I don't have to go or don't wish to go and... I don't like being in those situations with clothing that requires dry cleaning and my fingers are crossed hoping that it will survive in the wash. I liked the way my clothing smelled afterward too and since tomorrow's going to be a busy one with no time to wash tonight... my jeans are getting the Dryel treatment (just because). Indie clothing brands can also benefit from a product like this to keep items fresh without risking the quality of the limited quantity tees taking a hit. I speak a few words in this video, but its mainly so that you can see for yourself how simple it is to use and that it worked for me. Detective Pikachu... and then some! FTS: Pool Panic?! This game has... balls! QUBE 2 is available... now!